It’s bank holiday, I am exhausted. Trying to sort out garden, harvest and process veggies from the garden, but distracted by the campsite. Plus Kainaat and I are helping out with our friends at a display of working dog stuff – Kainaat learnt a new trick: retrieving an egg without breaking it! I was so busy today I didn’t even get time to brush my hair or wash my face this morning! We ate this last night and it made things better. Our tomatoes this year are so-so – tasty but there are not huge amounts of them – unlike the cucumbers which we have tons of. I used a massive Big Boy tomato for this salad and it was good. 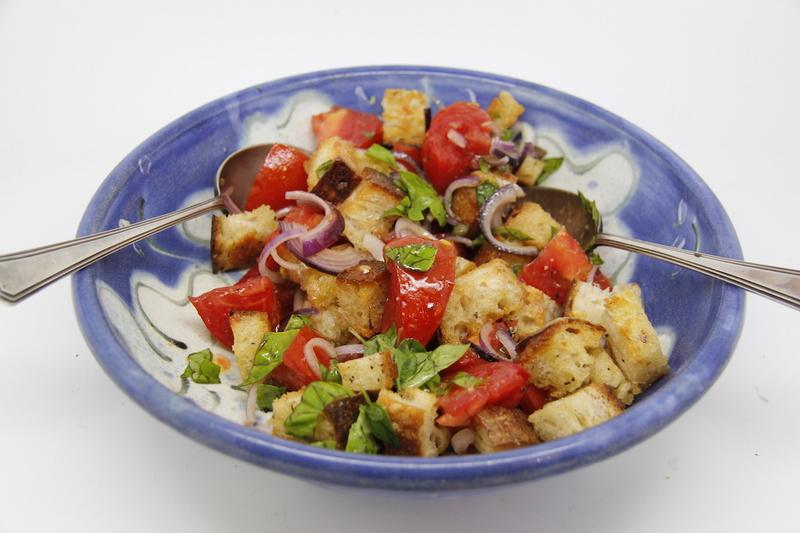 Panzanella: tomatoes, stale-ish bread (sourdough is good here), olive oil, basil, tsp capers, couple of anchovies, one red onion, salt and pepper. 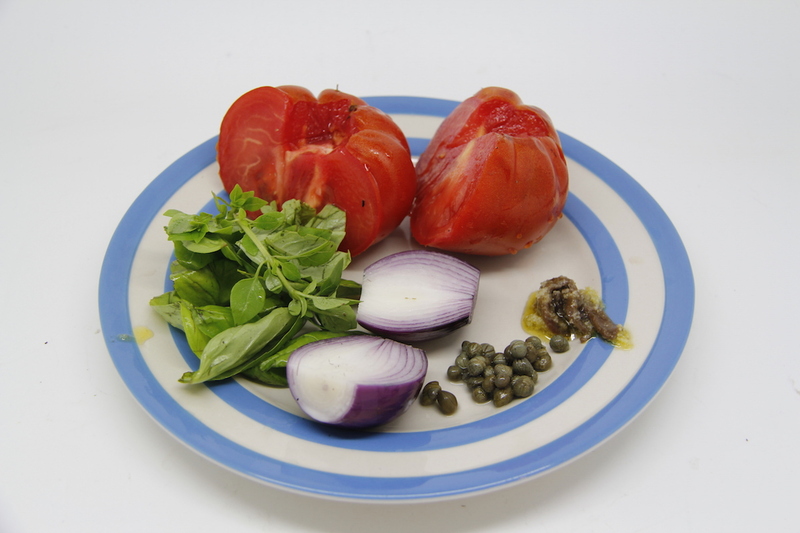 Meanwhile chop the tomato and put in a bowl with most of the basil (ripped up), the capers, the anchovies chopped up, the red onion sliced thinly and another slug of oil. Season with salt and pepper. Leave for a bit while the bread cubes cool down. 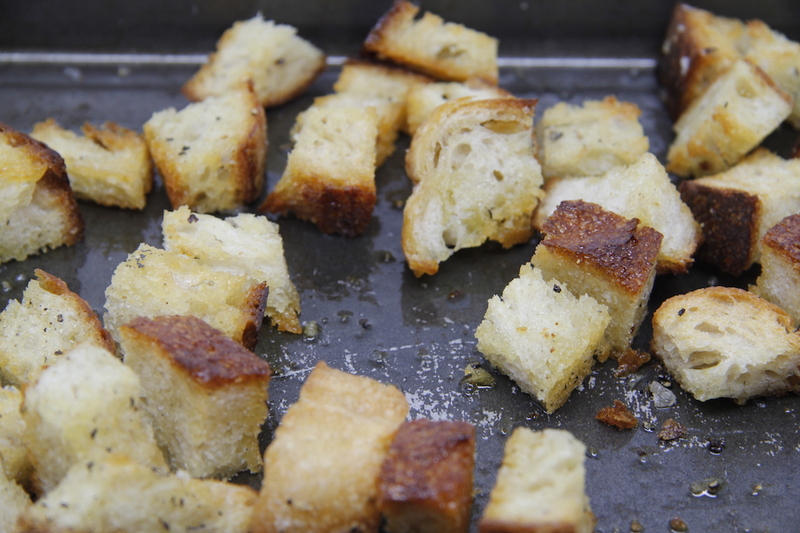 Mix the bread cubes into the tomato and leave for about 30 minutes or so – then eat. We will be eating a lot of this I predict. N.B. I keep meaning to update about the garden, but I haven’t had time for anything it seems – maybe tomorrow, if it doesn’t rain all day. 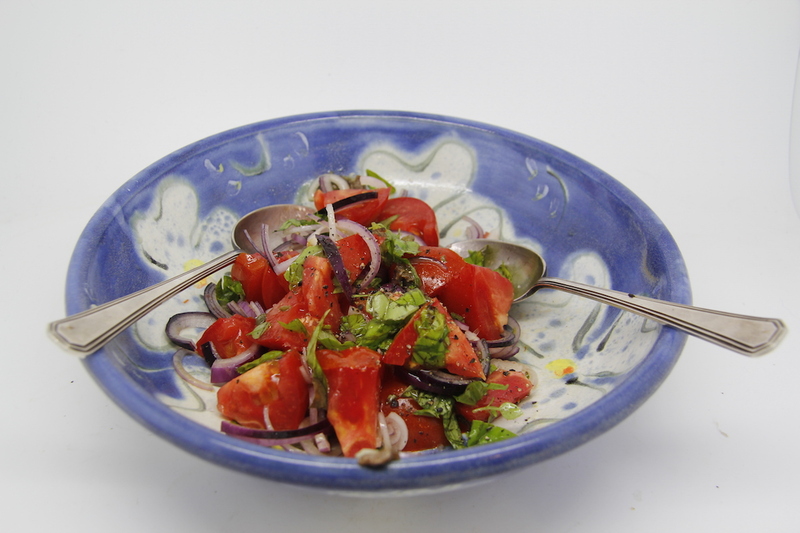 Your panzanella looks delicious. I’ve never made it…now I will! My tomatoes stunk this year. I’m with you on the busy, tired part. Such a busy time of year! Thank you. It is the first time I have made it – it was lovely. Hope you get some rest.